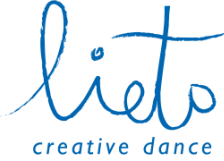 Lieto nourishes the creative spirit of dancers of ​all ages. ​Our emphasis is on carefully guided experiences in spontaneous, expressive dance. Enjoy your baby's delight in different patterns, new music sounds and dancing together with mother. Relax on the blanket with classical calming music while the teacher quietly plays with baby. Age 4.5 months to walking. Your toddler streams enthusiastically in all directions through the space, finds the rhythm of the medieval stomp and the gentler melodies of renaissance dance music and folk song. It's the beat that counts. Join their love of movement and dance. Walking to 2 yrs. Ready now to dance by themselves, exploring movement becomes an essential step in cultivating self-confidence. Individual needs can be accommodated to ensure the process of separation from the parent is a positive one. There will be many opportunities for creative initiative in a setting that stimulates the child’s imagination. 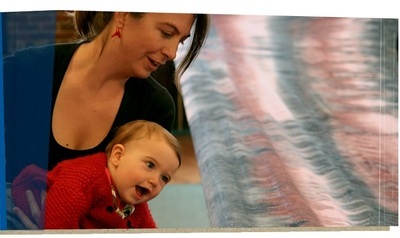 Introduce your child to creative processes that are not available at school or sport. A balance of dynamic and meditative activities allow children to explore their creative potential in a non-competitive space. One term during the year is devoted to making a simple performance for family and friends. As children become teenagers, their ability to express themselves can be key to their happiness. Older children build on the concepts covered in younger classes. Creative dance techniques and structured improvisations now lead to choreography devised by the dancers in collaboration with the teacher. Find your expressiveness in the body through the lyrical depth in music, and your individual creativity through the surprise of modern music. Enjoy the time to yourself immersed in the aesthetic, in the dynamic energy and lightness of dance.